Jonathan Jeremiah is a North London based singer, who came on the scene in 2010. His unique brand of updated English folk highlights the voice against heavy orchestrations, which often gets compared to people like Nick Cave and Scott Walker. His three albums include A Solitary Man (2011), Gold Dust (2012), and the recent release, Oh Desire (2015). He has received great reviews and a strong following in England and Europe. We talked about the exciting possibility of going to America in the near future. Otherwise Jeremiah will be touring most of Europe the rest of this year. AL: Your album, Oh Desire, has just come out. How did you approach making this album as opposed to previous albums? JJ: I wanted to go back to my musical roots with this record. My parents' record collection has a lot to answer for. Dad was into 1950s crooners and mum was into more 1970s folk. I find a home listening to that stuff so ignore whatever is considered currently popular or 'in' right now. AL: Were there any new influences on the new album? JJ: My father was an Anglo-Indian man who grew in a small town in India called Adra, I wanted to put a kind of Bollywood influence on the string sounds for that. I find myself gravitating towards my family a lot more on this record. I've always written from personal experience but feel I am closer now to expressing where I come from and who I am. AL: You are known for elaborate arrangements and orchestras. How do recreate those sounds in a live situation? JJ: I hid away for a year in a London studio and just let what ever happen just happen. I always liked the huge orchestration and production even as a kid. I remember delivering newspapers every morning in London when I was a young, the cinematic orchestra of the early seventies always took my mind off rainy London mornings and cold winters carrying bags full of newspapers. AL: The fact that your family is involved in arts: is that an inspiration for your music in any way? JJ: My sister Elena Dawson is now a successful designer in London with a wonderful line at Dover Street Market. She occasionally shows me when her garments are in the fashion mags or if the store gets closed on an evening due to some celebrity wanting to come in and try her clothes. She's a talented one. My other sister Michelle Dawson renovates stain glass windows of cathedrals all over Europe and just had her first exhibition of her work. I think all this art stems from London weather and being trapped indoors due to it. There even seems to be a link between all our work even though they are within different mediums. An embrace for all things craft and the things that modern day seem to leave behind. 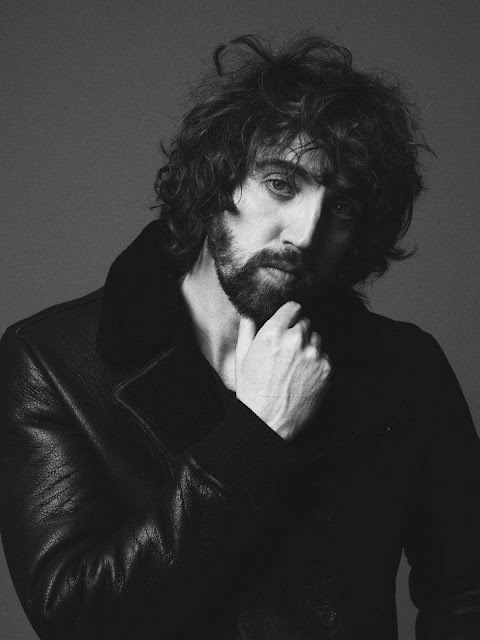 AL: In England, in the past ten years, the music scene seems split up into rock bands of the Oasis and Kasabian variety, and soulful ballad singers, such as Sam Smith and Adele. How do you see yourself fitting into this? JJ: I've never seen myself fitting into a scene. I'm happy to be the outsider. As my for vocal, all the men in the family have deep baritone voices. It must be something with her Adams' Apples. AL: How do you approach songwriting? Do you start with lyrics, melodies, or are you trying to convey some emotional states? JJ: Anything can kick start a song. I'm mostly most productive from midnight when everything goes quiet and there are less distractions of everyday life. AL: Which musicians would you like to collaborate with? JJ: I like to work with people I want to hang out with. Never something organized through a record label brainstorm. That smacks of marketing. Keep things natural and see who contacts you and who in turn I meet. AL: Have you traveled to America very often in the past? Do you like American music? JJ: I wrote my song “Happiness” traveling through America. The landscape, the movies, the writers and the singers, the US has a lot to answer for when it come to creative souls. AL: Any plans to play any festivals this summer? JJ: I'm just halfway through my own European tour so I'll see how I feel after that regarding festivals. But I like to play perhaps just one or two. Pink pop is a great show and Belgium have an amazing event Rock Werchter. Make them call me! AL: You have played shows in the UK and Europe. Any plans to play America in the near future? JJ: I'm hoping to spend the next few months releasing the new album Oh Desire out in the states. It always feels like the perfect place for me whenever I go. Hopefully some shows can be organized there. I'm yet to get in front of a microphone out there. AL: Do you have any non-musical hobbies? JJ: Music seems to be the one thing I could ever understand and submerge myself in. Even my hobbies are linked as I collect vintage instruments and can't walk by a secondhand vintage store without seeing what boots, bracelets and belt buckles may be inside. AL: Would you rather be known from your live performances, or by social networks, and more specifically, streaming sites and videos? JJ: Social network doesn't come naturally to me even one bit. I've always wanted a personal life away from my music. Sometimes it feels the modern day musician must be equally as capable a networker as a performer. Chasing attention ahead of what's comes naturally. That isn't for me. AL: When a person comes to one of your shows, what should they expect? JJ: Each show is a different experience. There are no backing tracks or ways to template what we do as a band. I've always seen performance as a one off experience. A sonic snapshot of one moment between yourself and those I'm fortunate enough to perform alongside. That's what's best for me. Pull Quote: I find myself gravitating towards my family a lot more on this record. I've always written from personal experience but feel I am closer now to expressing where I come from and who I am. Pull Quote: Even my hobbies are linked as I collect vintage instruments and can't walk by a secondhand vintage store without seeing what boots, bracelets and belt buckles may be inside. North London Troubadour Jonathan Jeremiah is featured in the upcoming ZOO 47! Photographed by Cooper Seykens Photography, wearing Replay!